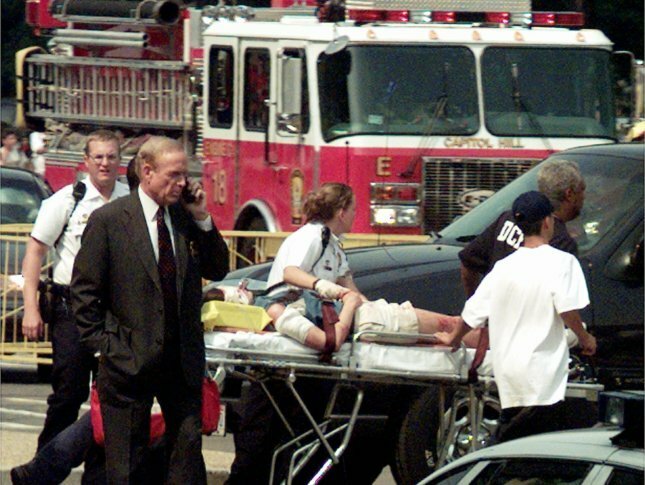 In 1998, a gunman burst into the U.S. Capitol, killing two police officers before being shot and captured. The shooter, Russell Eugene Weston Jr., is still being held in a federal mental facility for paranoid schizophrenia. See photos. WASHINGTON — Twenty years ago, on July 24, 1998, a gunman burst into the U.S. Capitol, killing two police officers and wounding a female tourist before being shot and captured. The shooter, Russell Eugene Weston Jr., is still being held in a federal mental facility for paranoid schizophrenia. Officer Jacob Chestnut and Detective John Gibson were the men killed by Weston. Chestnut was killed instantly and Gibson died later during surgery at George Washington University Hospital. Both officers were laid in honor in the U.S. Capitol rotunda. Chestnut was the first African American to receive the honor.